HERE WeGo is a free app that makes city navigation effortless whether you need a taxi, public transportation or drive on your own. Book a taxi in a single tap or navigate with detailed routes, turn-by-turn guidance and information about every way to get around. If you're in a hurry, take a taxi or book a future ride. * Take your car, your bike or public transit to get to your destination. HERE WeGo has recommendations for all the ways to get around. Just compare and choose what's best for you. HERE WeGo tells you everything about your journey before you head out. You can see the cost for public transit tickets and cab fares, find places to park and know about traffic delays for any drive. On the move, HERE WeGo gets you to your destination with ease. Turn-by-turn voice guidance for drivers helps you stay stress-free behind the wheel. If you're walking or taking public transit, HERE WeGo guides you along every step and every transfer, just when you need it. HERE WeGo shows you alternatives when delays are slowing others down. Live traffic and public transit information keep you in the know, so you have the flexibility to keep going no matter what happens. You can even download maps to your device, so HERE WeGo keeps working even where there's no network signal. HERE WeGo offers public transit information for 1300+ cities including New York City/NYC, San Francisco/SF, London, Berlin, Munich, Paris, Barcelona, Madrid, Rome, Milan, Vancouver, Toronto, Sydney, Melbourne and many more. Get where you need to go on subway/metro/subway, bus, bike, train, trolley or ferry. HERE WeGo has offline maps of the United States, the United Kingdom, Germany, France, Spain, Italy, Canada, Australia and more than 100 other countries. Download the map you want and you're all set. So where will you go? It's all up to you. Because whatever your destination and however you're travelling, HERE is how you get there. *Note: Booking a taxi ride with HERE WeGo is available in select cities. Check to see if its available in your location. We fixed some bugs and made some minor improvements for a better WeGo experience. I’d like to see full screen use on the iPhone X like Google Maps or even something similar to Apple Maps. It’s trivial I’m sure, but it’s attention to detail. It does appear night mode uses true black which will conserve battery. Being able to download maps is great, it saved us on our last trip to Europe and made getting around a breeze. I also haven’t noticed any ads lately, which was fairly annoying not to be able to opt out of. It would be nice to have an auto switch feature for the units, it’s already using our location, can’t be that hard to know what areas use which units on their roads, there are only three. The voices are a bit digital and processed sounding, not major, but smoother voices would be nice. The directions can be confusing, especially the lane indicators and arrows. If you’re a Windows 10 user you’ll notice the native MS Maps app is in fact Here We Go. This made planning trips in Europe easier since we could see things on my Surface Pro 4 in larger detail then use the iPhone on the streets for navigation. Reality is I’d only use Google Maps if they offered offline maps. However, they don’t, so this is where Here We Go really shines. If Here We Go could get their interface, search and options on par with Google Maps, I may just remove Google Maps. At the moment there’s a long ways to go still. We tried HereWeGo driving around Northern Italy, both with and without data service. It was better than Google maps because it found destinations when we searched better than google did and it showed more of the actual streets when driving, which helped to make sure we were taking the correct turns. Also, when we were offline, HereWeGo still gave us voice instructions. When we had google voice instructions, sometimes they came late. We used this app to explore around Lake Como, drive up into Switzerland, drive to Venice, drive around Prosecco wine country and drive back to Milan. Just make sure to download the maps you need before you hit the road. I also tried it out offline around home before we left to test it out. I was looking for a map app to replace Google Maps as Google has become too into our lives that privacy is a matter. Tried Apple Maps and on iOS 8.3 I'm starting to love it but it doesn't always do justice, so I started looking. I first came across Scout, it looked good but reviews weren't the greatest on the latest update. Then I decided to try HERE. It might not have street view/fly over equivalent feature yet on iOS & I hear it's nothing compared to Apple Maps as they're more current & so fourth but it's basic maps are great overall, though no map app is perfect. 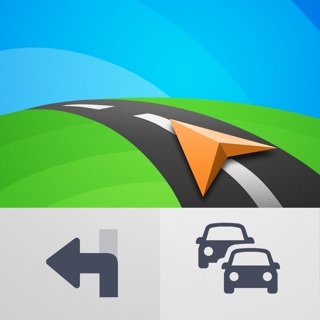 If you're looking for a map app to supplement Apple Maps & want to stay clear of Google, this may just be the one.